Definition at line 31 of file servprov.idl. Definition at line 33 of file servprov.idl. 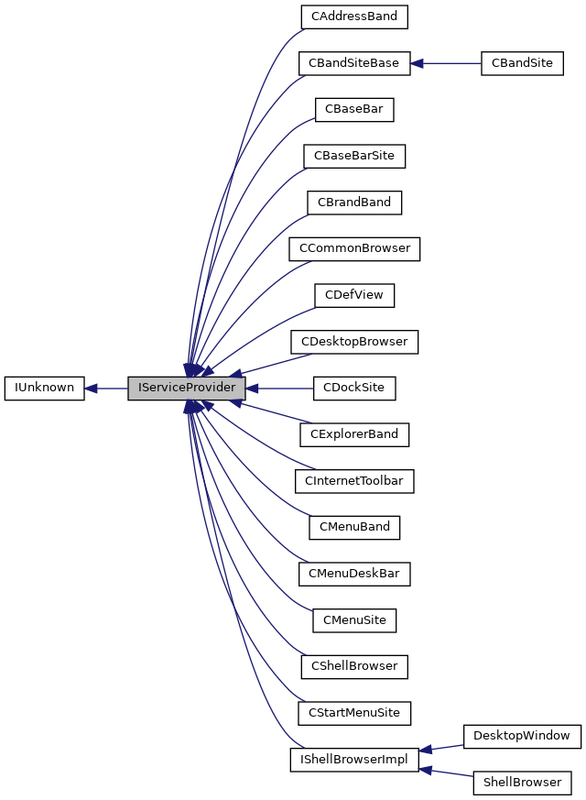 Implemented in CShellBrowser, CDefView, CDockSite, CInternetToolbar, CMenuBand, CExplorerBand, CMenuDeskBar, CBandSiteBase, CMenuSite, CBrandBand, CAddressBand, CBaseBarSite, CBaseBar, IShellBrowserImpl, CDesktopBrowser, and CCommonBrowser.